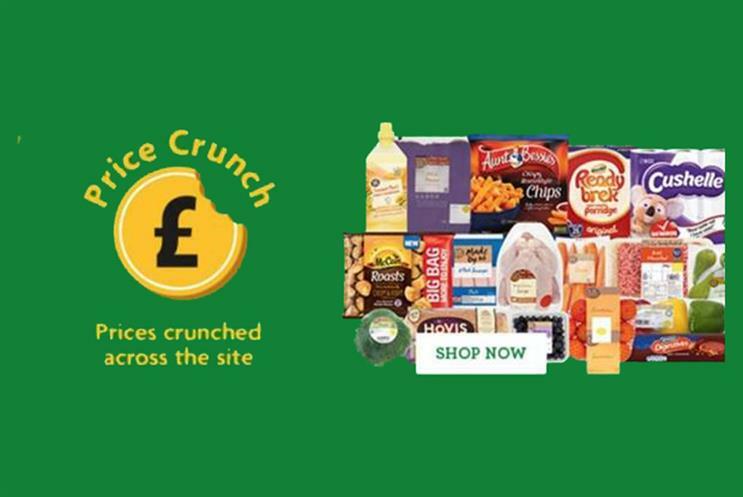 Morrisons has today (1 February) launched a 'Price crunch' across 1000-plus product lines, promoting the latest in its 'value drive' in-store and online via new black and yellow branding. The price reductions will be applied both to branded and own-brand products and are the latest in the supermarket's value drive. Examples include the price of 2.5kg of white potatoes being slashed from £1.75 to £1.43, 1kg of carrots being cut from 60p to 47p, a three-pack of peppers reduced from £1 to 86p, and the price of a large chicken slashed by 50p to £4. The price cuts also affect third-party brands, including Philadelphia (down from £2.46 to £2), McVitie's chocolate digestives (down from £2.27 to £2 for a 500g pack) and Harpic (reduced by 50p to £1.47). The ‘Price crunch’ initiative is part of Morrisons chief executive David Potts’ oft-stated "long journey" to improving the supermarket’s consumer offering and, ultimately, its financial performance. Clive Black, analyst, director and head of research at Shore Capital, said: "A 'long journey' is just that, so patience is necessary with respect to the investment case on Morrisons, in our view." Black added that he has been impressed by Morrisons' improving trading momentum. Could Morrisons replace its logo?